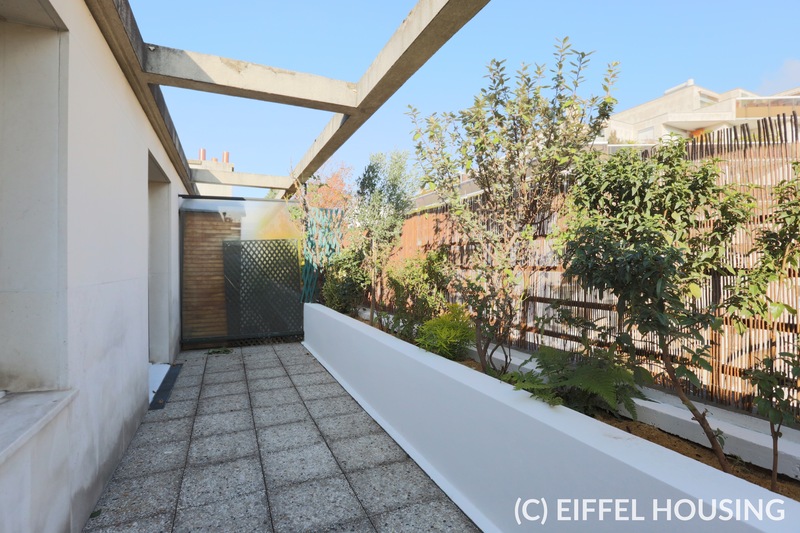 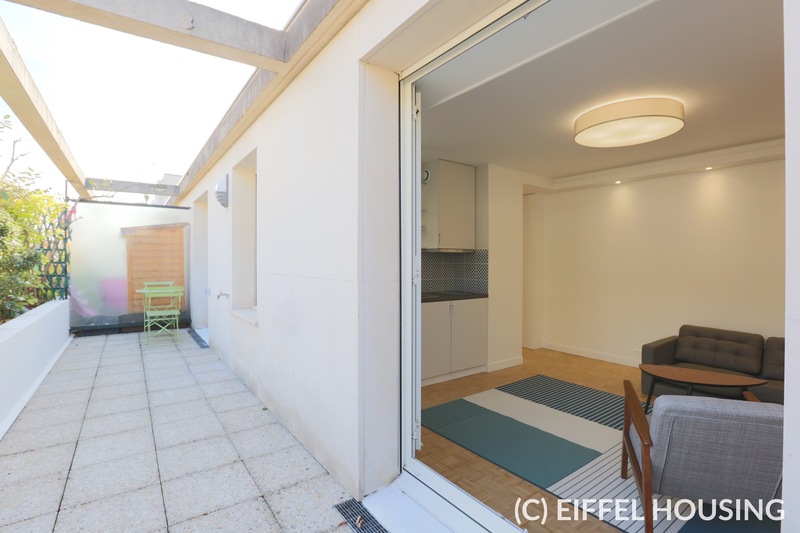 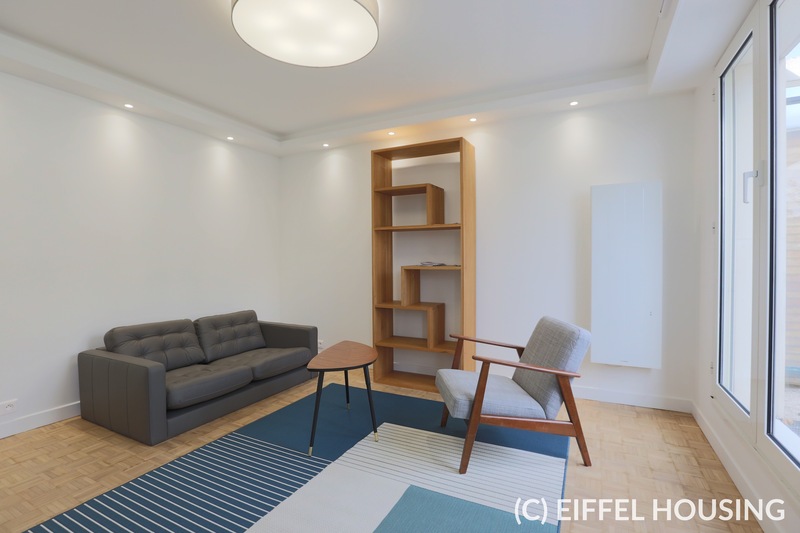 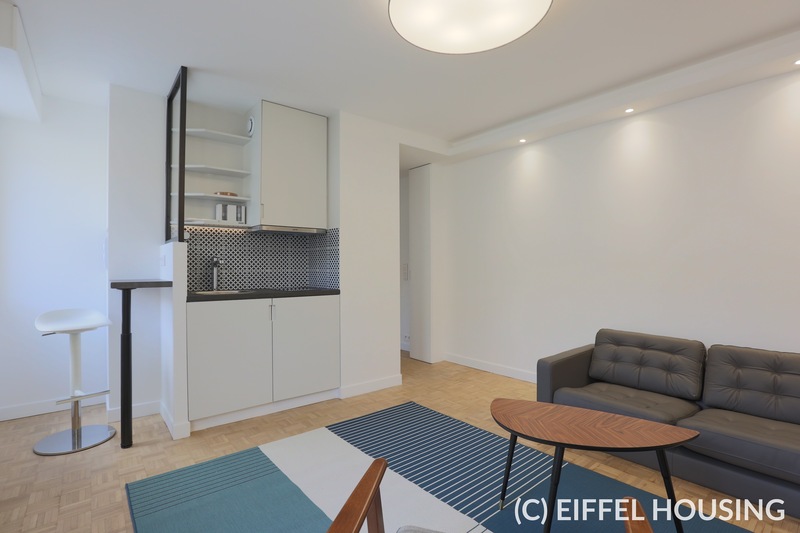 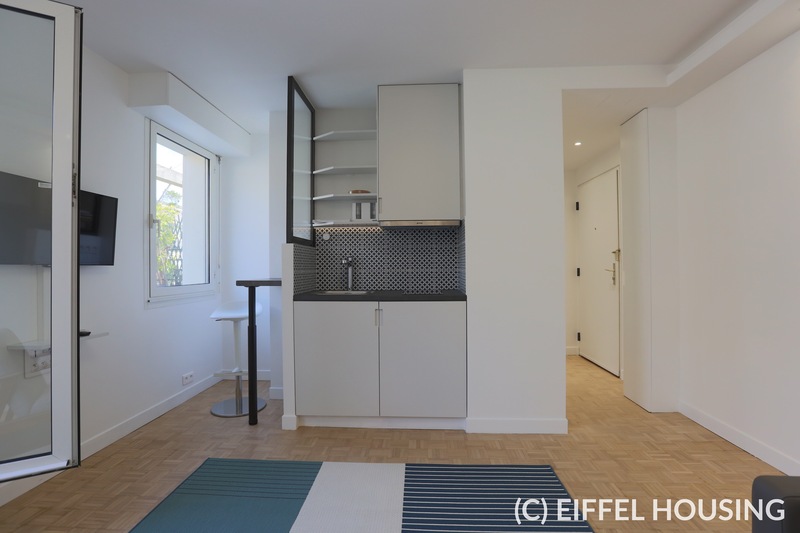 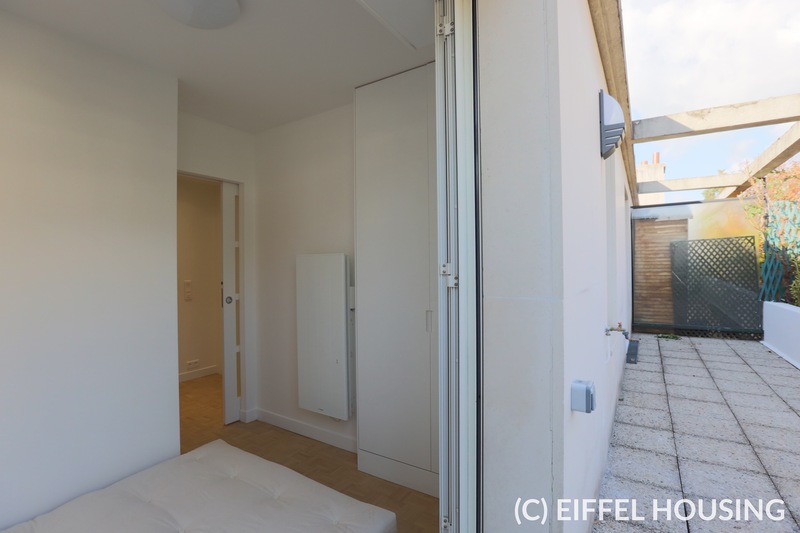 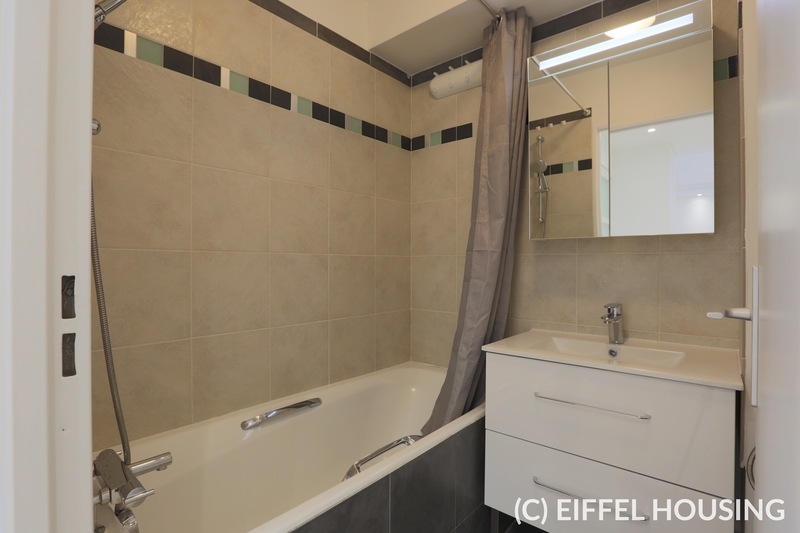 Beatiful renovated and furnished apartement located on rue Basfroi in Paris 11th arrondissement, cliose to metro stations Ledru Rollin (line 8) and Voltaire (line 9). 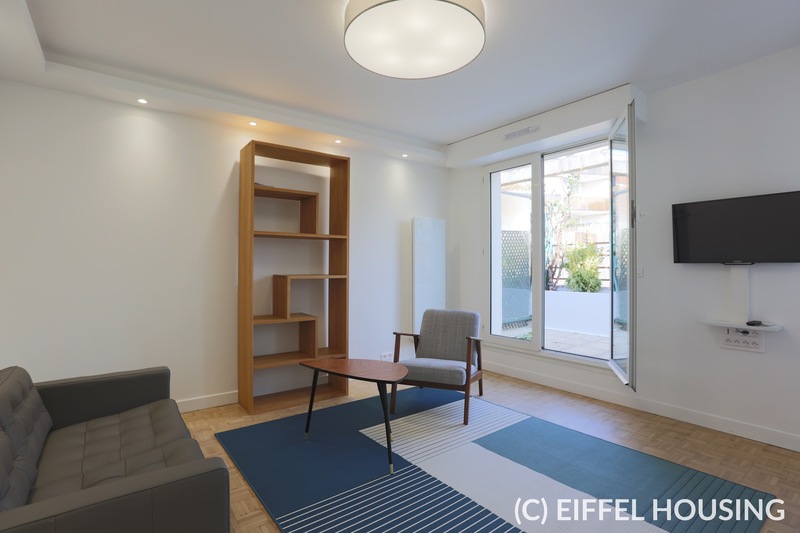 This bright and stunning apartment with a private large balcony (~ 12 sqm) is located near the vibrant area of Ledru Rollin and nearby many convenient stores (grocery stores, bakery, wineshops) and restaurants. 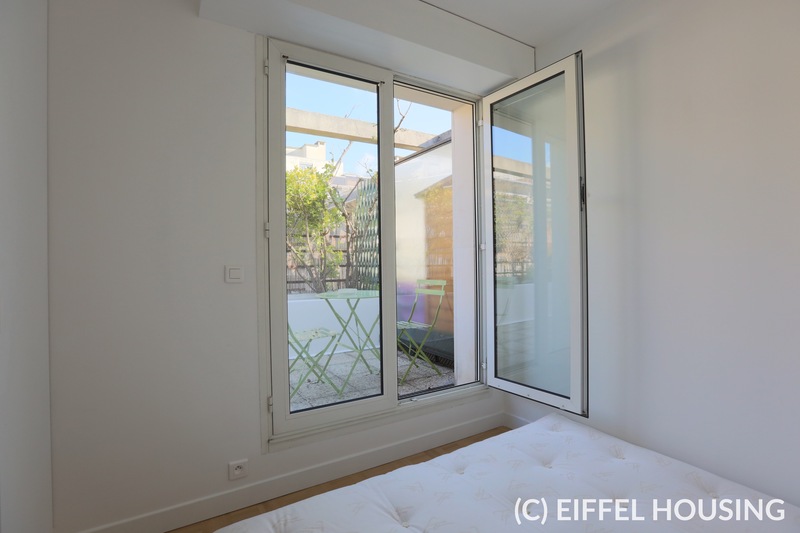 In a '90 century, with common areas in good conditions, the apartment is located on the top (6th) floor with elevator. 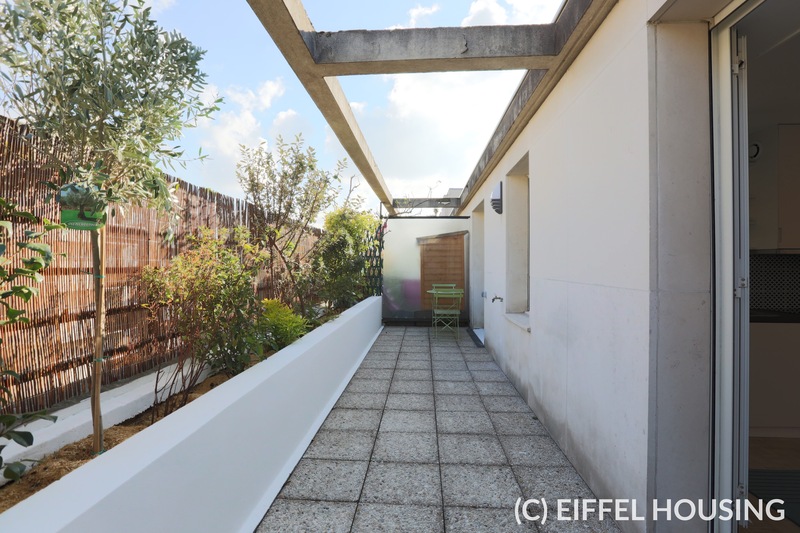 This property features a living room with its stunning terrace, a bedroom (with embedded closet and futon bed), a fully-equipped open-plan kitchen (brand new appliances), a bathroom with bath tub and one toilet. 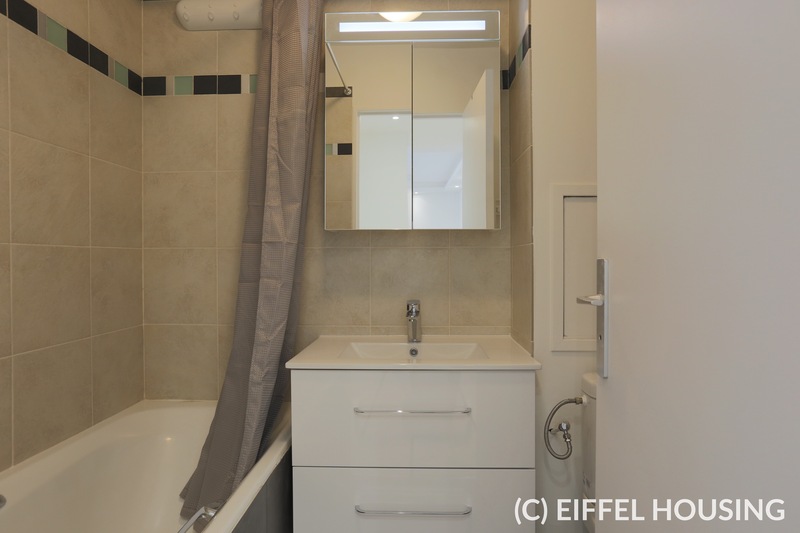 Care taker, digital access code, intercom.